In many instances the cost of an overhead bridge crane can be largely offset with savings from not renting mobile cranes in the construction of a facility that uses a lot of heavy process equipment. An overhead crane, commonly called a bridge crane, is a type of crane found in industrial environments. An overhead crane consists of parallel runways with a traveling bridge spanning the gap. A hoist, the lifting component of a crane, travels along the bridge. 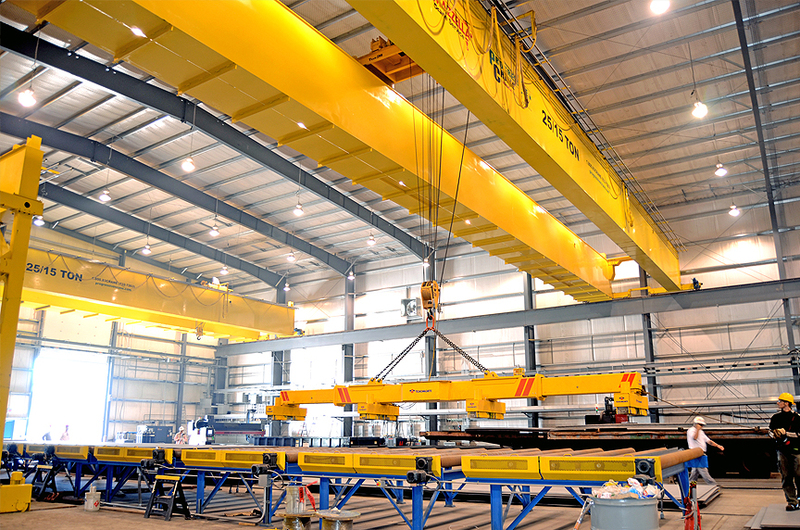 Unlike mobile or construction cranes, overhead cranes are typically used for either manufacturing or maintenance applications, where efficiency or downtime are critical factors. the optimal 21st century surge protection device. That device is Sinetamer®. For more complete information review our Crane Technology Flyer or visit us at www.sinetamer.com!